RoboForex unites an international group of financial companies RoboForex Ltd and RoboTrade Ltd, both being in operation since 2010 in various countries around the world and providing their customers with a wide choice of trading opportunities in financial markets. The use of up-to-date technical means for comfortable foreign exchange trading is one of the main goals manifested by RoboForex, which is their reason for maintaining reliable partner contacts with leading software developers in the world of foreign exchange market services. The relationship resulted in the Bridge option that works on the STP principle. It makes possible to execute client orders in accordance with the Non-Dealing Desk scheme. RoboForex interacts with its Prime Brokers in this frame, providing its customers with the most rapid conduct of transactions. 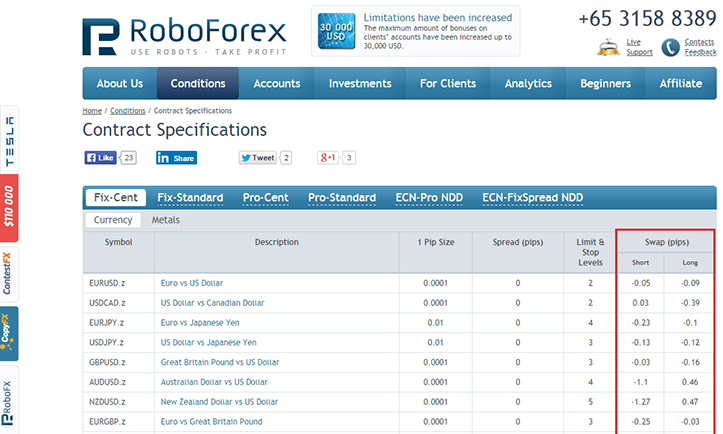 Full information can be obtained on the official website of the RoboForex broker. The company provides its customers with the opportunity to choose the most suitable trading conditions on their own (for more information see the corresponding section in your account on the RoboForex broker website). At the trader’s disposal are accounts with both fixed and floating spreads (either 4-digit or 5-digit) with a choice between Market Execution and Instant Execution, the effectiveness of which is confirmed by numerous positive reviews. However, unfortunately, there are also many recent negative reviews about the RoboForex broker from traders who faced problems while withdrawing funds from their accounts. The company’s analysts are constantly monitoring the foreign exchange market to provide the clients with the most effective RoboForex data. The expert headquarters is in constant search for innovative tools, technologies and methods that are being introduced and subsequently used in the course of trading operations, concerning both RoboForex analysts and the software. The company has proved itself as a reliable partner when it comes to the development and organization of private business of its clients. The latter receive very affordable as well as reliable high quality services, regarding RoboForex analysts, trade operations, customer support, security, and privacy. you need to get a trading account, verify personal data and phone to participate. The offer is not valid for those customers who participated in the ‘15 USD Bonus for Verified Customers’ promotion or received other non-deposit company bonuses. The classic MetaTrader 4 terminal used by the company still remains the undisputed leader among individual traders. It provides all the necessary instruments for both novices and experienced participants, but also has various built-in features and functionality typical only for MQL platforms. Unfortunately, I had a horrible experience with Forex a few years ago and stayed away from it in fear. However, a few weeks ago I decided to start with a clean slate and made a quick research. Chose this firm for positive feedbacks and already got my money’s worth. In the last few days I netted a few hundred bucks. Happy with the result and plan to go on.